On entering the village limit, pass the school on your right. 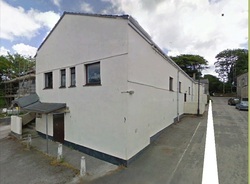 A further 600 yards into the village, you will reach the old Methodist Church on your right (opposite Roseland Parc) which is at the entrance to Back Lane and the Village Hall. Turn off onto the B3287, and up into the village. 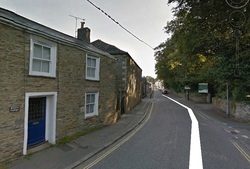 Continue along Fore Street to the old Methodist Church on your left, which is at the entrance to Back Lane (first turning on the left after the pub, approximately 600 yards from the main road turn-off) and the Village Hall.